Choose “Browse” at the bottom of the plugin panel to access other saved palettes on your local system or online in the ColoRotate cloud. In Browse Mode, you can browse and view your saved palettes, favorites, online palettes, and default palettes provided by ColoRotate. 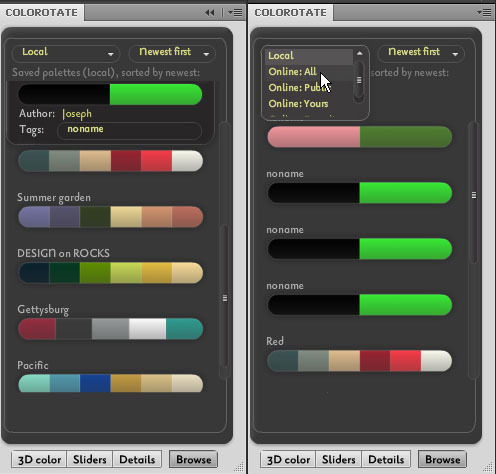 The plugin’s Browse Mode allows you to browse and view color palettes.